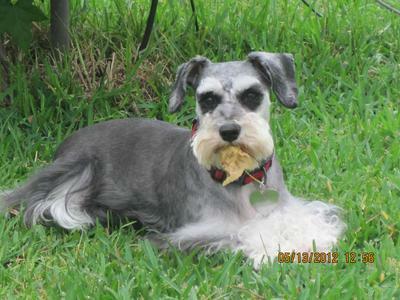 Ginger is a 3.5 years old female miniature schnauzer who became a part of our family in January 2010. She brings so much joy to our family and we can not imagine life without her. She loves looking out the window and announcing to us with her different types of barks when dog, cat or a person is passing by. She loves to play tug of war and fetch with her squeaky toy. She also is very good at playing hide and seek but She is only playing 'dead' for a treat. she hates to wear her harness, she will hide or let you chase her around as soon as she sees you with her harness. All my son's friends love her and enjoy playing with her too. She is very intelligent and loves us unconditionally. We love Ginger dearly and we are very blessed to have her in our life. Ginger is a great dog. She is a playful and fun dog. Kids love to play with Ginger. 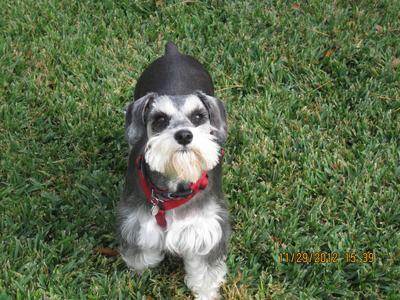 Ginger is a good companion dog to the Drabbant Family. She has good manner, very clever, and obedient. Ginger so adorable and lovely dogs..
Ginger is an amazing dog! She's always so excited to see our family together on Sundays. The girls love playing with Ginger! They always say her name when they can't find her. Ginger is also very smart. I always say if I ever get a dog again, I hope that it is as wonderful as Ginger! Ginger is such an important member of our family and without her no family gathering is complete. I feel honored to dog-sit her when her family is out of town. We always have a wonderful time. She has a very loving personality and has never met a stranger. To me, one of her most loving traits is her genuine love for children. She is so gentle with them. The smaller the child, the more caring Ginger is. I love her so much and she is truly a wonderful little "GRANDDAUGHTER." Ginger is an awesome dog. We had the privelage of dog sitting Ginger for almost three weeks last summer. She adjusted very well to our environment and even took charge of our blind cocker spaniel. Ginger would lead the way for Bailey. Ginger is great with kids and other dogs. My son loves playing with Ginger. 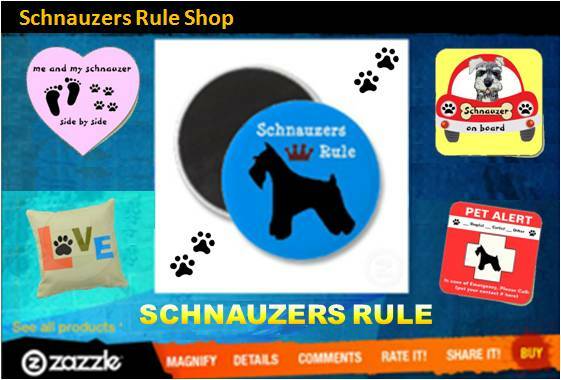 Ginger is a great Schnauzer. 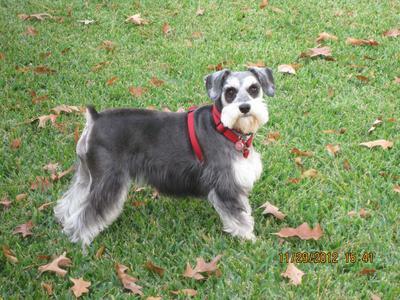 This is the prettiest Schnauzer I have seen in a looooooooong time!!! Ginger is the best and cutest in her class that I had ever met. She is so lovely, adorable, cute and smart. Your Ginger is beautiful! She has a lot of the same characteristics as our Charlie-boy. 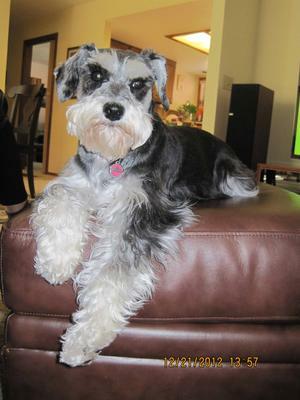 Schnauzers are the best dogs and I know we will always have one in our lives.